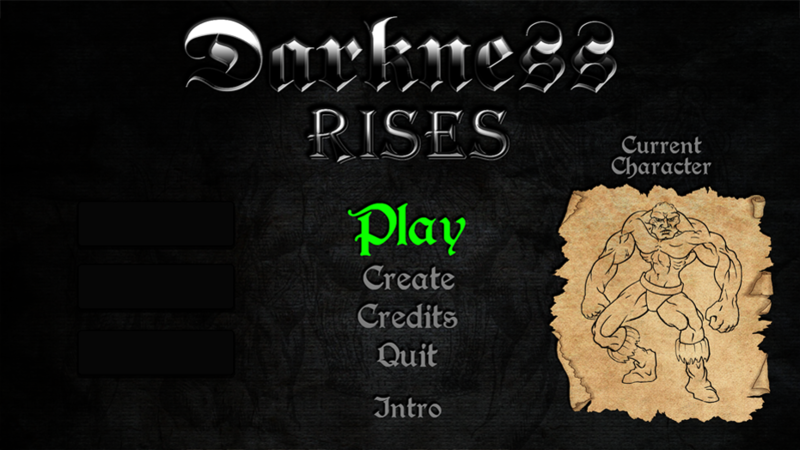 Darkness Rises is the spiritual successor of a fan-favorite MUD known as Darkness Falls, and Darkness Falls: The Crusade. The project is being developed by two key developers; Mike Baugus (Lead Programmer and Developer) and Owen Todd Chanovich (Creative Director and Community Manager). The team also includes Brent Davis (Composer, Writer, Concept Artist), Viper Allen (Story & Character Design) and Bartolomeo Argentino (Lead Artist). 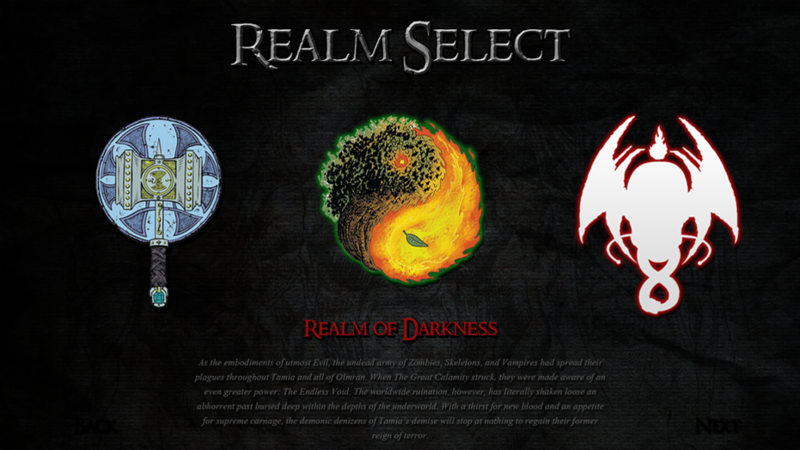 The game itself is broken down into 3 separate realms based on the 3 major alignments of fantasy RPG's: Good (The Realm of Light), Chaos (The Realm of Chaos), and Evil (The Realm of Darkness). The races of the Good realm include: Humans, Gnomes, Dwarves, Elves and Half-Elves, Halflings, and a secondary human race of monks known as the Kilanese. The races of the Chaotic realm include: Trolls, Lizardmen, Goblins, Kobolds, Gnolls, Ogres, and Orcs. 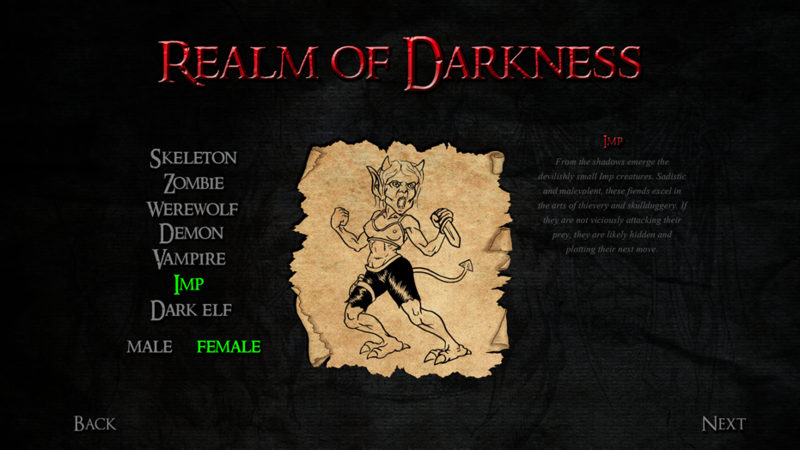 The races of the Evil realm include: Vampires, Skeletons, Zombies, Imps, Demons, Dark Elves, and Werewolves. 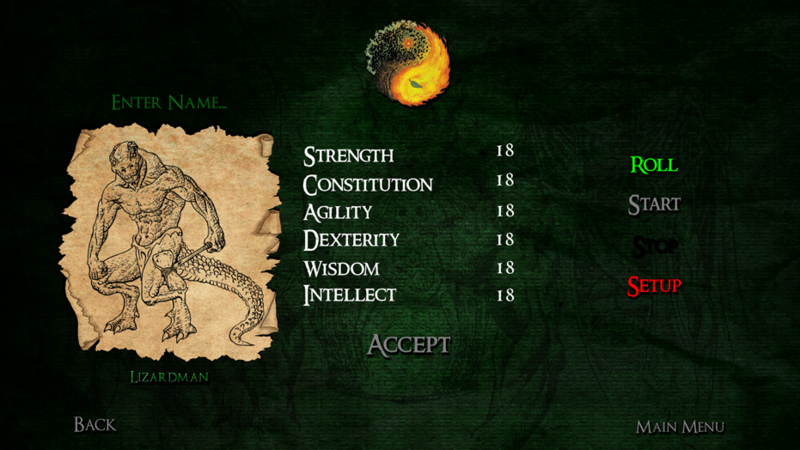 When creating a character, you will Roll your Statistic Scores using a classic D&D style rolling system. 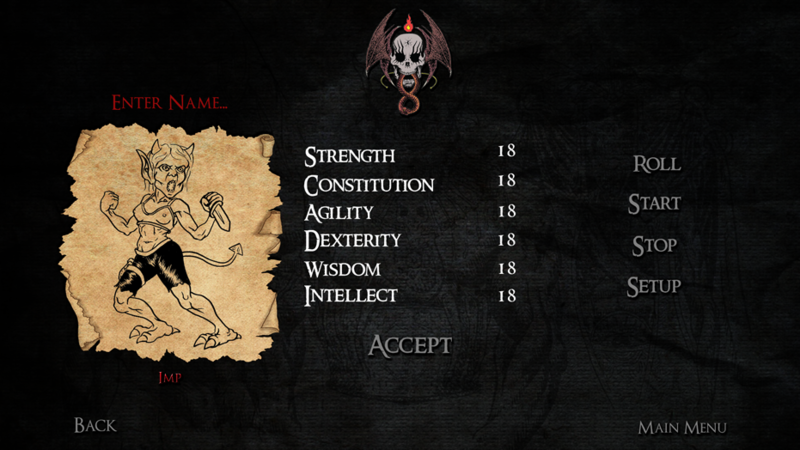 Stats range from 8 to 20, and are set as Strength, Constitution, Dexterity, Agility, Wisdom, and Intellect. These statistics are permanent and will affect all of your characters abilities throughout the entire game, so choose wisely! One of the main features of Darkness Rises that sets it apart from most other classic MUDs is that combat is 100% manual. 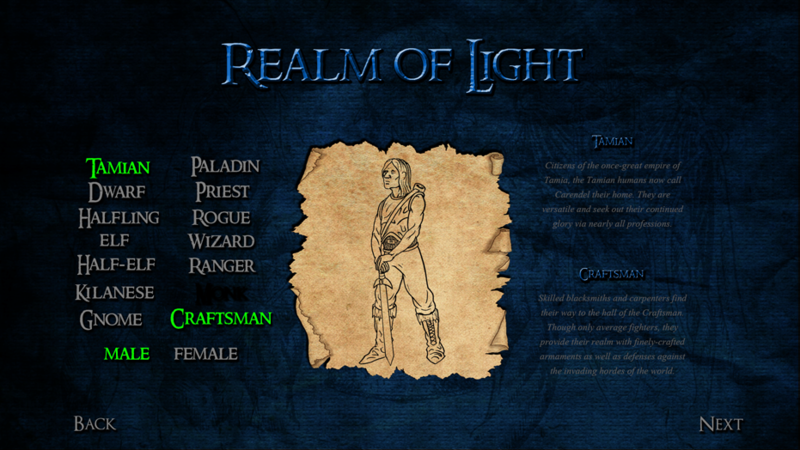 All actions, attack commands, and spell-casting commands are entered by you the player, or with the help of Macros. This helps facilitate a fast-paced and interactive Hack-and-Slash theme, and is also great for getting the adrenaline pumping! Each Realm holds 3 Idols - the Idol of Knowledge, the Idol of Strength, and the Idol of Power. The Idols, when captured, grant bonuses to your realm and its characters, boosting their combat skills, experience gains, and spell-casting abilities. You can partake in Invasions by boarding your realm's ships and pouring onto the beaches of enemy realms. You can engage, slay, and loot your enemies, as well as save your allies by dragging them to safety. If you're lucky or savvy enough, you can find your enemy's Shrines and steal their Idols in a mad dash to try and return them to your home realm. PvP Titles: If you slay another player, you will be granted Realm Points and if you gather enough, you will earn a Rank in you realm's army, bestowing bonuses to your skills and abilities. There are multiple ranks and they are uniquely themed to match their realm. Though the cornerstone of activity in this game surrounds PvP and invading/defending against other realms, the time between PvP interactions is typically spent gaining experience by hunting and killing NPCs. 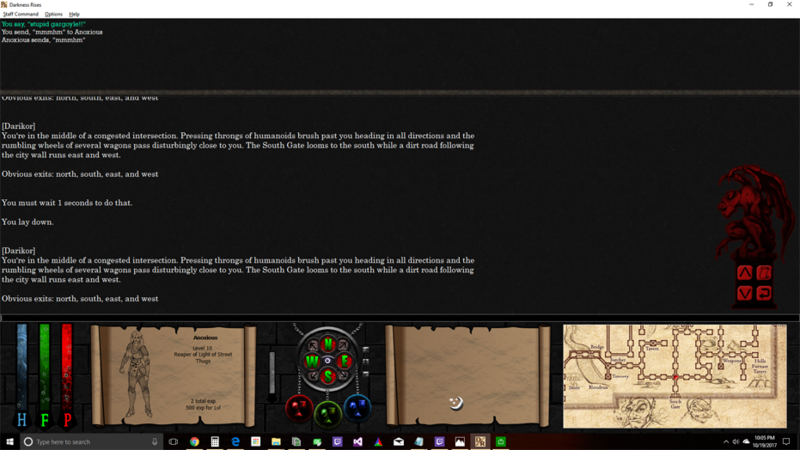 There are 75 levels total, and the experience needed to continue leveling up increases very steadily. After each level, you can return to your trainer to spend skill points on your skills to increase their overall effectiveness. 2) the passion of independently developing a video game from the ground up that continues the old game's legacy. The project is a bold statement to the major companies that created and hosted the original titles. For example, on numerous occasions multiple players have attempted to purchase the rights to the original game(s). They were all in vain due to either the outrageous asking price (the game's original creator Mark Jacobs was quoted to say it would not sell for anything less than six to seven figures), or the fact that the company who owned the rights simply said, "We don't want to waste capital investigating the source code to determine its worth." Quite a struggle for a game that has been defunct and abandonware for over a decade! In the end, even though DFC rightfully paved the way for the much larger online game known as Dark Age of Camelot, the source code and the game as a whole would never again see the light of day. This is what inspired the developers of Darkness Rises to say, "To hell with it - let's build it ourselves and let's do it our way."